For the best gift ideas, keep reading! 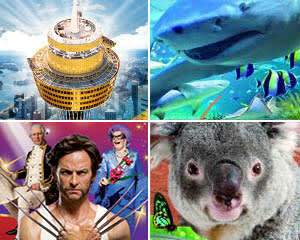 These tours offer rip-roaring good times all over Australia. Maybe that hard-working employee needs to step away from the computer and tap into their wilder side. By offering daily, weekly or seasonal theme park passes, you can help them blow off a little steam. 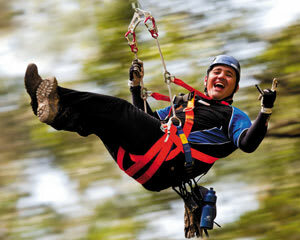 Or, how about taking your family to one of Australia’s top zipline adventures? Traverse wobbly bridges zoom treetop to treetop and conquer obstacles while everyone cheers you on! Climb a tower with your mates, come face to face with a croc, go horseback riding… with these fast-paced tours, there’s something for everyone! We’ve got thrilling tours and epicurean adventures spread out all over the nation. Sometimes guided; other times, you chose your own path. In either case, you’re guaranteed something special and out of the ordinary. 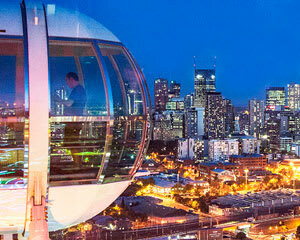 For instance, have you ever considered climbing the tallest building in Australia? 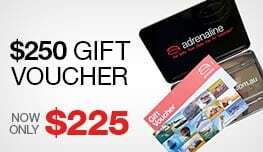 In Sydney, Skywalk tours bring you 300 feet above ground to the Q1 spire! 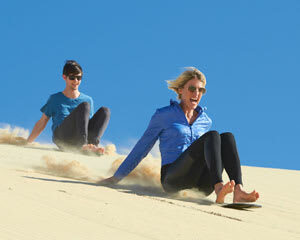 Equal adrenaline rushes come courtesy of Port Stephen’s sand dunes. Quad Biking this locale is a real treat for the daredevil in your life! Ghost tours—Sydney, Melbourne, Adelaide excursions have you creeping through some of the most haunted locations in the world. Try to make contact with the former inmates of a haunted prison or the tormented souls that still wander an abandoned insane asylum! Of course, maybe you and your adventure partner are skeptics. No worries! You don’t need ghosts and ghouls to leave you in awe. How about the tremendous jaw of a crocodile? 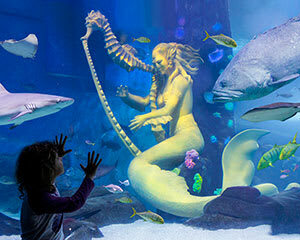 At Sea Life, you’re welcome to visit the new Crock Lair exhibit. Or, in Melbourne, Safari Tours drive you up close to lions, gorillas, hippos and many more majestic creatures! 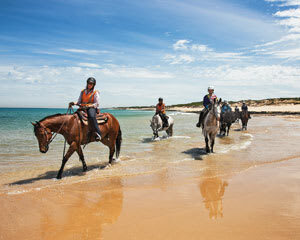 Slow it Down – Horseback Riding, Food Tours, Australia Wine Tours! Hungry? Thirsty? Discover one of our many food tours and wash it all down with a cold glass of beer. Carlton & United Brewery Tours pair the perfect lager or ale with your meal and the take you behind the scenes to show how these delicious suds are brewed! 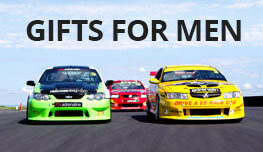 Or head to Yarra Valley. 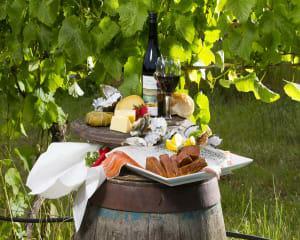 Wine tours take you to three boutique wineries and let you sample some signature reds and whites. Pair your glasses with delicious cheeses, chocolates and other delectable treats. Perhaps you’d like to pair such a wine tour with a horseback ride. 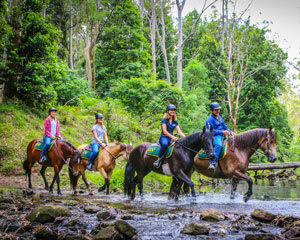 Blue Mountains trail riding adventures offer this very experience. In fact, there are a number of exciting horseback tours available—explore countless backcountry trails at different paces! We could keep going: Harley Davidson rides, helicopter flights, there’s even a sand surfing experience! But how about you take over and start exploring? 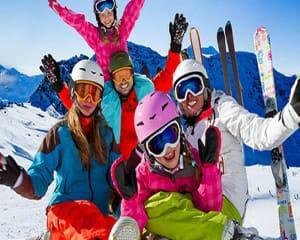 Discover the best tours Australia has to offer!